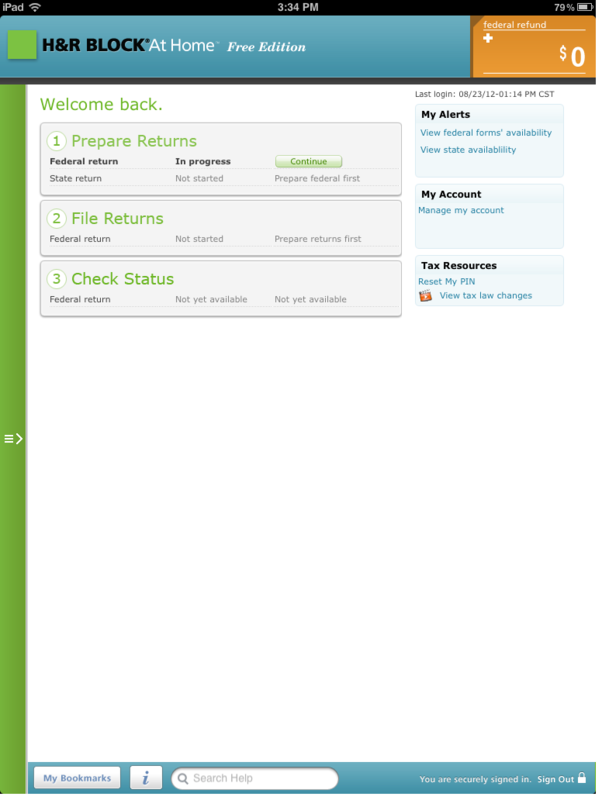 Provide a way for users to file their taxes using an iPad. Using the tax engine and interview screens from online, find a way to make a native iPad UI that makes the app feel like it’s on an iPad and improves the experience for users. Used years of research about navigation within tax prep products to design a left hand navigation menu in the native iPad UI. Collaborated with a visual designer to create a look and feel that indicated the product was still in the H&R Block At Home family, but looked like an iPad app. Worked through which pieces of the online interview screens needed to change to be compatible with interactions commonly expected on the iPad. Designs performed better in usability studies than any previous product we’ve tested out of the box. Satisfaction scores for the iPad app are higher than for the online product it’s based on.